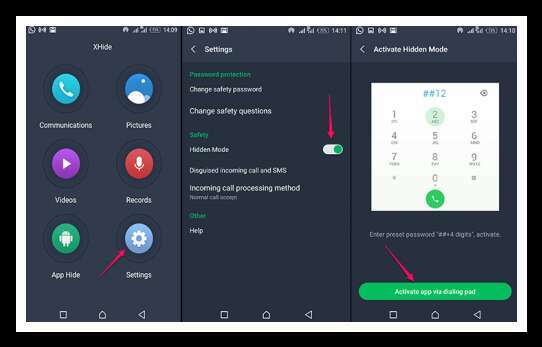 Xhide is a security app that works like a vault for hiding important information on your Infinix Smartphone. Infinix Xhide has been added to all phones using XOS UI, Hummingbird or Chameleon for better security purposes. Unfortunately, you can forget your Xhide password and would like to reset it in order to recover or bring back the Xhide app in your phone so that you can easily access your hidden files and apps. If you fall under this situation, then you are in the right place. Just like “Private Space” app available on some Gionee smartphones, when you have Infinix Xhide app on your infinix smartphone, you don’t need to download any other third-party app locker or hiding app. Xhide safely secures all your secrete apps, messages, videos, photos and files from the eyes of another person. It has a simple way of hiding files inside an already hidden app. The Xhide icon can be hidden totally from your phones’ app drawer. Xhide app can be unlocked with a unique way including using special passwords. You can reset your password for more app security. The app can’t be downloaded separately. Where Can I Download Infinix Xhide? 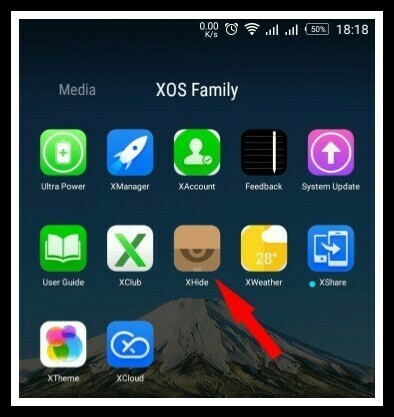 The Xhide app is pre-installed in all Infinix Smartphones running XOS skin and can be found inside “XOS family” as can be seen from the screenshot below. This therefore means that you can’t download the Xhide app separately from any other third-party source. Also note that all Infinix phones running XUI skin does not come with the app. How Can I Access Hidden Apps On My Infinix Phone? You might find it tricky accessing the files or apps you have hidden on your phone. Just follow below instructions to access all the hidden stuff. Go to your phone dialer and dial ##0000 (where 0000 is the four-digit pin you provided the first time you access the app). For instances, if the pin you provided is 2345, you will dial ##2345. The app will automatically come up immediately you dial the correct code. Click on the category where the app you want to access is located to open it. It will open and you can have access to all the files you hide there. But, if Xhide is not in hidden mode, simply locate it on your phone app drawer and tap on it. Then select the category to access the file you want. However, this second option is NOT SAFE as anyone operating your phone can have access to your hidden files because no security authentication is required. Now, enter your new password (make sure you use a password that you will remember, easily). Once confirmed, you have successfully changed your password with a new one. So still on how to use Infinix Xhide app. The next thing is fixing a peculiar issue that most users encounter. Which is getting back Xhide app after forgetting password. 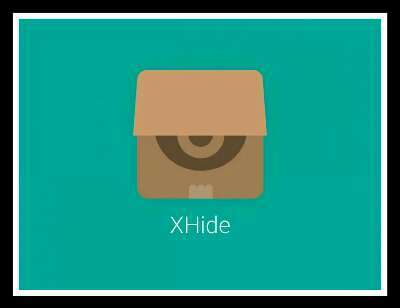 Follow these steps to bring back xhide app and retrieve hidden apps and files after forgetting password. Go to your phone dialer and dial this code ## and security pin, e.g. ##2345. The app will come up automatically immediately you dial the Xhide code above. Now select the app you want to unhide to retrieve and make it accessible. That’s all about Xhide and how to use it. In case you are having charging issues on your device, you may also check how to fix Fast charging problems on Infinix Phones. The introduction of Xhide app is a move in the right direction because our phone contains videos, pictures, apps, chats, messages and files that are very sensitive and therefore needs to be locked and hidden from the public eyes. This app is the best and safest option.